After a joyful weekend celebrating his mother’s 80th birthday in Paris, Aden “happily” boarded his return flight to the US on March 13, a country he has been a citizen of for more than four decades. When it was his turn to speak to the Customs and Border Protection (CBP) officer, Aden says he was asked if he was traveling alone. “I knew this was a sign of trouble, I answered ‘yes,’ then he said, ‘Let’s take a walk,’” he wrote on Facebook. Aden says he attempted to explain that he was a retired police chief, but the immigration officer said that he had “no control” and couldn’t release him, despite his long career in law enforcement. While Aden waited, he noticed that he was being held longer than anyone else, despite having been a US citizen for 42 years. While the citizens of other countries spent five minutes in the room, Aden says he was stuck there for 1.5 hours. Despite being trapped with no means of communicating with his wife or family, he was told by the original CBP officer that he was not being detained. “But I’m not free to leave – how is that not a detention?” he replied. “My movements were restricted to a chair and they had my passport... and he had the audacity to tell me I was not being detained,” the retired police chief said. Thanks for the support I've received since detailing my CBP detention.I'm fortunate to be able to give this problem a voice and a platform. “This experience makes me question if this is indeed home. My freedoms were restricted, and I cannot be sure it won’t happen again, and that it won’t happen to my family, my children, the next time we travel abroad. This country now feels cold, unwelcoming, and in the beginning stages of a country that is isolating itself from the rest of the world – and its own people – in an unprecedented fashion. High levels of hate and injustice have been felt in vulnerable communities for decades – it is now hitting the rest of America,” he wrote. Hassan, who worked in law enforcement for 30 years, grew up in France and Italy. He spent 26 years serving on the police force in Alexandria, Virginia, and most recently served as the chief of police in Greenville, North Carolina. The father of two now runs a law enforcement-focused consulting business. His detention came just two weeks after President Trump rolled out a new travel ban, which has since been blocked by a federal judge in Hawaii. The executive order would bar the citizens of six countries from entering the United States. 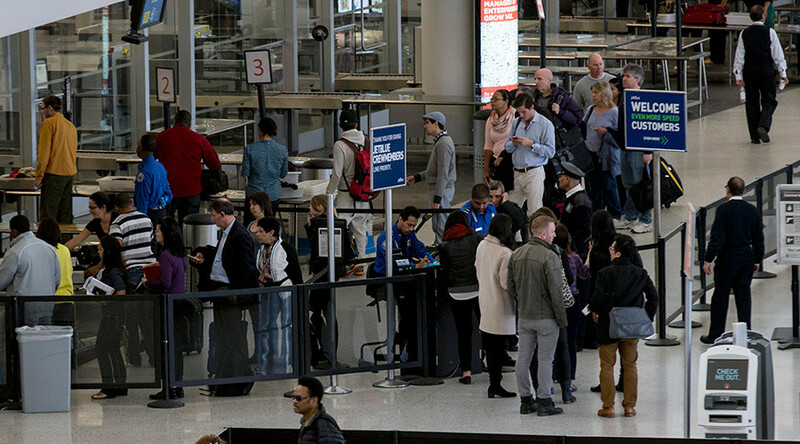 Trump has described it as a “watered down” version of the first ban, which sparked protests around the globe when the restrictions were chaotically implemented in airports across the US.